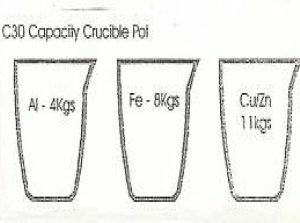 ATP10 Crucible pot with capacity of 2.9kg Aluminium, 10kg copper/zinc. 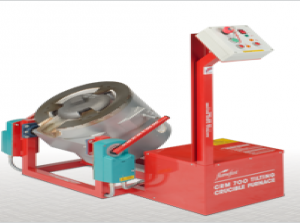 Lead Free Pewter, MCF Low Melting Point Alloy and vulcanised rubber moulds are available as optional extras. 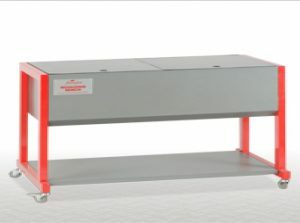 Rigidly constructed to be totaly stable with 200kg sand bin full to capacity. Restricts sand within a specific area when filling moulding flasks and so helps keep the floor sand free and reduces the chance of accidents. 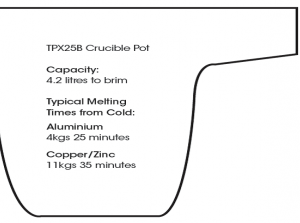 Melts 11kg of copper or zinc in 35 minutes and 4kg of aluminium in 25 mins. 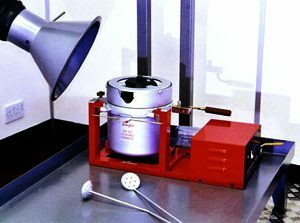 Maximum temperature 1200 deg celcius. 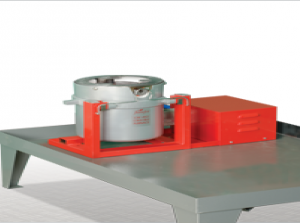 Push button operated motorised safety tilt system. 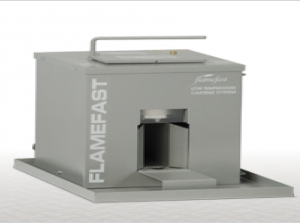 Designed to work with natural gas propane or butane. 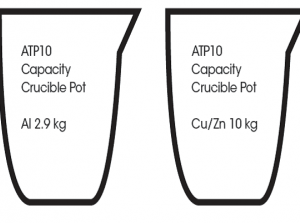 Suitable for fast melts over a wide range of metals from Aluminium to Bronze.ATP10 Capacity.